There are plenty of products in the market today that can host and wrap these troublesome applications, such as Microsoft App-V and VMware ThinApp, but even they have their limitations. They will typically support only around 50 per cent of legacy applications. As an IT consultancy and risk mitigation partner, Fordway has always had to address legacy applications and find ways to migrate them from a physical to a virtual environment. We know first-hand that it can take weeks to wrap, package and then deploy the most troublesome applications. Even once it is wrapped, an application will still require updates, which means starting the process again each time it has to be updated and then re-testing to ensure that the updated application still works in the virtual or cloud environment. 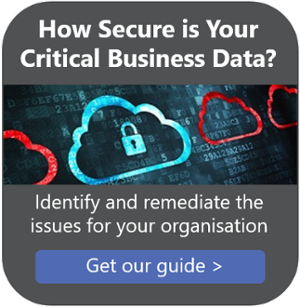 If an organisation has 80-100 core applications (which is not uncommon), this can make the task unmanageable and ensure that a move to cloud is delayed indefinitely. As part of a recent Numecent deployment we were able to show a customer that their business critical legacy application would no longer hold them back. Instead, it could be packaged so that it could be used on any device/browser utilising HTML5, whilst at the same time giving them control and allowing them to make changes and provide updates with just a ten minute turnaround time. This development would save the business weeks of packaging and deployment time, and do something that had previously not been an option in either App-V or VMware ThinApp. If your organisation is looking to move a business legacy application into a virtualised or cloud environment and would like to see how this can be done fill out the form below. We’re happy to provide an on-site demo to show what is possible and help you move closer to a cloudy future.